Our range of country attire is made up of brands such as Sherwood Forest clothing, Hoggs of Fife, Bonart, Grisport, Sealskinz and Grassroots to name a few. With many years of experience in the country clothing business, we are always happy to advise you on the best product for you and your family. Cherry Tree Country Clothing offer an extensive range of quality country clothing, country boots, accessories and gifts for men, women and children. Whether you are looking for tweed jackets, waistcoats or breeks, or a silk tie to complement your suit, they are sure to have what you are looking for. 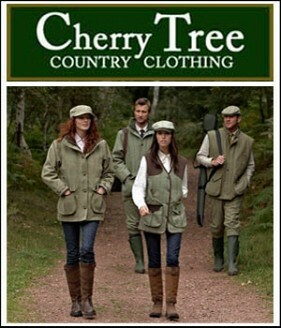 Cherry Tree Country Clothing also cater for outdoor country pursuits such as hunting, shooting, walking, hiking and horse riding. 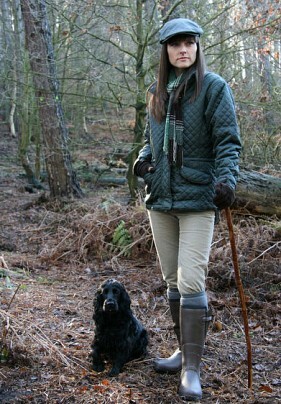 Brands include Sherwood Forest clothing, Hoggs of Fife, Bonart, Grisport, Sealskinz and Grassroots and many more.